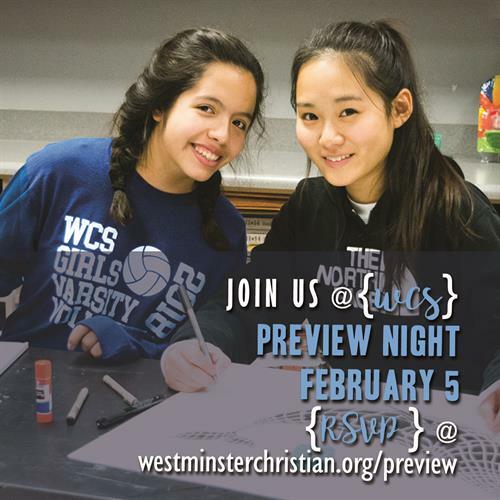 Join us at our Preview Night to hear from our head of school, principals, and faculty about our excellent programs and how God can use Westminster in the lives of your children. Get a tour of our campus and meet with select faculty about individual program levels. This event begins at 7 p.m. (refreshments beginning at 6:30 p.m.) and will conclude at approximately 8:30 p.m.